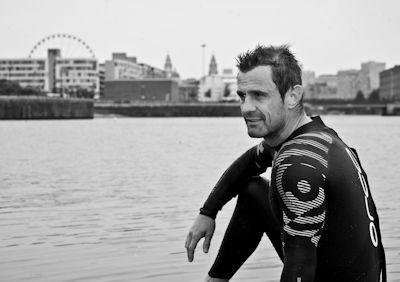 The Steve Prescott Foundation are delighted to announce their partnership with Branded Items Group. 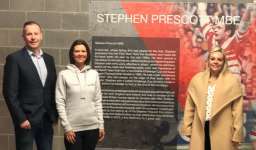 Linzi Prescott Trustee of the Steve Prescott Foundation said "We have teamed up with BIG as we feel passionate about supporting the local businesses within our town. It has been a pleasure to work with Louise and Steve over the past few weeks with their professional, yet friendly approach to business. After years of dealing with companies in the marketing industry who do not offer that personal touch, it is really refreshing to know that we have a great company on our door step that will support the work of the SPF!" 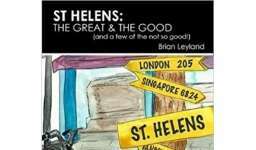 St Helens: The Great & The Good, by Brian Leyland, is a celebration of the heritage of the town of St Helens and in particular the people that hailed from it. It profiles 100 people who were either born, raised or educated in the town and who have gone on to make their mark on a national or international stage. It includes both historical and contemporary figures and concludes that the town has long punched above its weight. Author Ken Bold is a lifelong Saints supporter. St Helens is home to one of the most famous Rugby League clubs in the world. 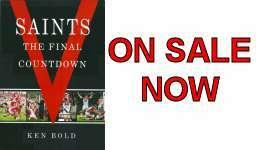 Saints have a long and proud history and this book tells the story of each and every one of the 79 finals that they have contested, from the very first Challenge Cup final in 1897 to the present day.